KewlApps has released a new app on the Play Store known as Fingerprints Gesture. Actually, the app is unreleased, meaning, although the app is available on the Play Store, it may be unstable. As the name suggests, Fingerprint Gestures app allows you to set different custom actions on fingerprint gesture for the fingerprint scanner of your phone. However, the app works on Android O (8.0) only. Check out: Android O Settings guide: Where are your options from Nougat and Marshmallow gone? 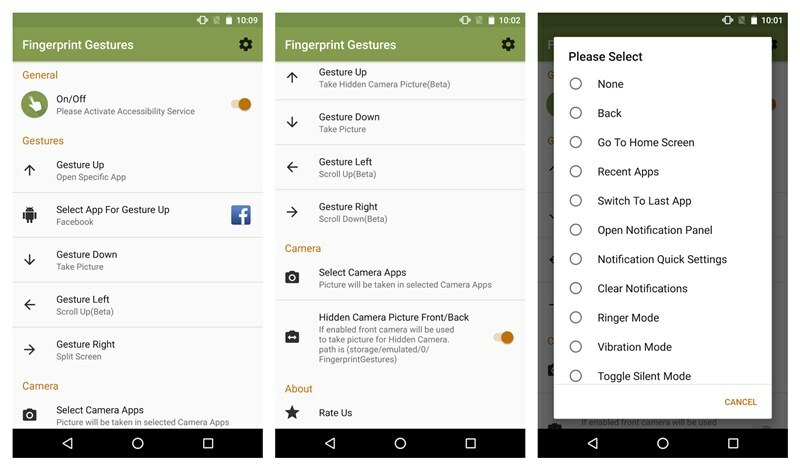 The app allows you to set multiple types of actions on fingerprint gesture. You can take a hidden picture without opening the camera app. You can also set the gesture to take pictures on a single gesture from any camera app installed on your device. You can also open any app with a single gesture. Further, you can set the gesture to open Notification panel and other similar settings like put mobile to silent mode, normal mode and vibration mode. You can also turn on and off flashlight on a single fingerprint gesture besides performing music operations like play, pause, next song etc. The app currently supports the four basic gestures of up, down, left and right. Meanwhile, check our post on best Android O features.